Dreamforce is all about connecting—with customers, innovative companies, new products and technology, other Trailblazers, and so much more. This year we expect to get over 200,000 mentions across our social media channels, and we want to make sure that everyone can keep up! Whether you’re joining us for Dreamforce in San Francisco or checking it out from home, we’ve got five great tips for using social media to stay up to date on all the action. Don’t wait until you get to Dreamforce to start making connections with fellow attendees — get started now. Make sure that your profiles are updated across all social channels, including Facebook, Twitter, Instagram, LinkedIn, and the Salesforce Success Community. On LinkedIn, you can join relevant groups and tell your professional network you’re coming to Dreamforce, and you can also look into the backgrounds of fellow attendees to get the scoop on who you’ll be meeting. You can also publish blogs organically on LinkedIn — it’s a great way to spread your knowledge. Learn more here. On Twitter follow the appropriate hashtags (see below) to join in on the current conversation. This is also a great way to connect and make friends with attendees coming from all over the world. Another great resource is Twitter lists — you can follow lists people have already created for Dreamforce-related content and then create your own list of handles that you find particularly interesting. LinkedIn helps you solidify connections by adding them to your professional network. It’s also a great place to post long-form content. Keep updates short, and share up-to-the-minute info. Share all of your real-time updates on Twitter, like live-tweeting your impressions or sharing your favorite speaker quotes. Participate in the live experience, and make sure to ask questions for speakers in Twitter for a real-time response. Facebook is a more personal network, and you should tailor your posts to your specific audience of Facebook friends. Most friends love to see your pictures and high-level information, but leave the business details on Twitter. Instagram is all about visuals, and Dreamforce has some AMAZING photo opportunities! Use Instagram to share all your photos, and make sure to use #DF18 to be part of the curated feed. Don’t forget about Instagram Stories, to share all of your photos and videos in real time. Snapchat is a great opportunity to share your fun videos and pictures with your followers during Dreamforce. Make sure to follow the @Dreamforce and @Salesforce handles, and don’t forget to use our custom Dreamforce geofilters to take advantage of our creative and fun ways to show all of your friends that you’re at the largest gathering of Customer Trailblazers. Download your story at the end of each day so you can relive Dreamforce whenever you want. And send us your snaps throughout the conference so that we can see Dreamforce through your eyes. Periscope and Facebook Live let you live-feed your videos through Twitter and Facebook. Your followers can ask you real-time questions, and you can let everyone see what a great time you’re having, and even who you’re meeting. 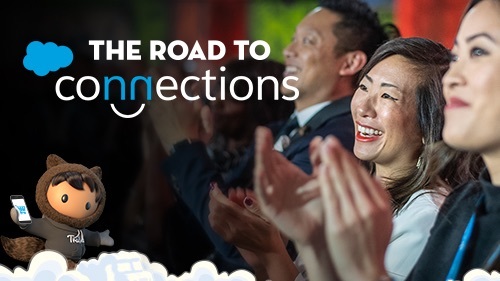 After Dreamforce, make sure to stay in touch with your new connections over social. Add them on LinkedIn and continue the conversation. Use what you’ve learned at #DF18 to create and share content that matters to your followers. Did you miss a session? Check out what you missed on Salesforce.com/live and get recommendations from social on which videos to watch. Also, take your social networks offline — join user groups or go to meetups of fellow attendees. 5. Participate in the conversations. 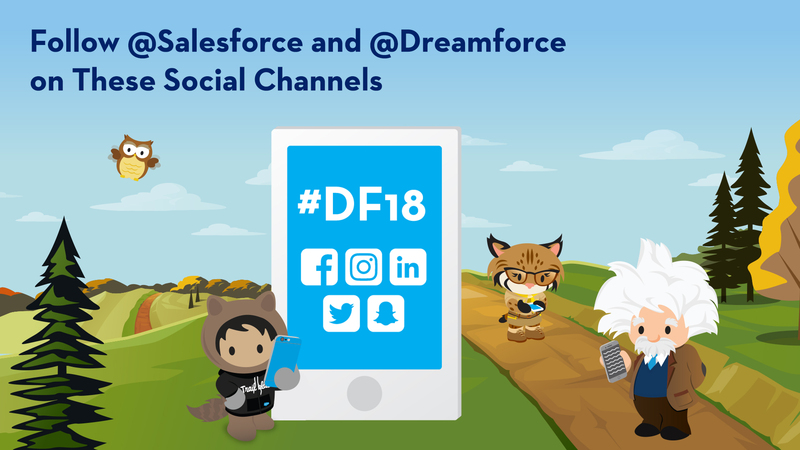 Make sure to follow the overall Dreamforce conversation with #DF18. If you need help while on site, use #DFHelp and we’ll point you in the right direction. #DFGives — Follow the $1 million Dreamforce Quest for Giving. You can also find additional volunteer activities. #EqualityforAll — Support all elements of equality at Dreamforce. #AwesomeAdmin — Connect with all the awesome Salesforce admins. Check out our Salesforce and Dreamforce pages daily for live video, galleries of the best photos from Dreamforce, breaking news from the keynotes, and inspiring conversations. Make sure to also follow our Instagram accounts, @Salesforce and @Dreamforce, for a behind-the-scenes peek at of all the action at Dreamforce ‘18! 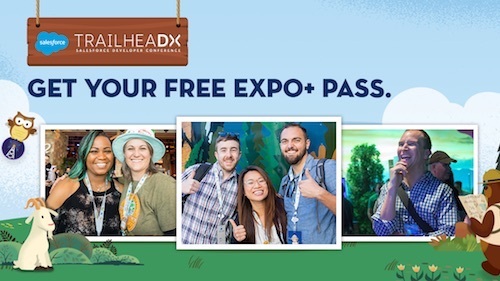 Use #DF18 on your Instagrammed pictures to add your photos to the stream. We will have more Dreamforce content than ever before with a live, magazine-style editorial and blogger team on site throughout Dreamforce creating real-time, engaging, helpful articles. 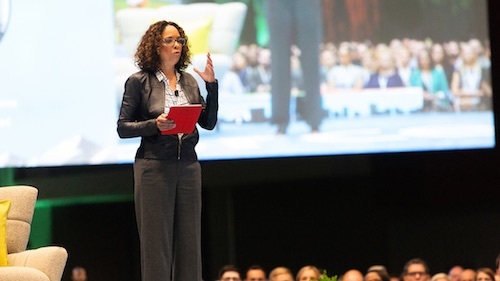 Content will cover sessions, keynotes, conversations, speakers and more for sales, customer service, marketing, CRM, and mobile throughout the days of the show. Every day during Dreamforce, we’ll be posting a morning agenda — your guide to the day’s best events, destinations, swag, and more — as well as a late afternoon wrap-up so you can hit the Dreamforce party circuit with plenty of clever talking points about the day’s happenings. Check out the Salesforce Blog for additional highlights throughout the day. You can catch all the action from home on our SalesforceLIVE stream. If you can’t make it to Dreamforce this year, make sure to watch all week for great content. Salesforce LIVE at Dreamforce is bringing more of the conference to you than ever before. Join the conversation and millions of online viewers with #SalesforceLIVE in our social stream and on Twitter. Don’t miss out on all of the inspiring keynotes, exciting studio content, breakout sessions — register now so that you don’t miss a thing!